How Does the asTech2 Benefit Repair Shop Owners? The asTech™2 is a new remote diagnostic scanner that not only benefits collision repair professionals and vehicle owners, but also helps repair shop owners and operators increase profits and customer satisfaction. 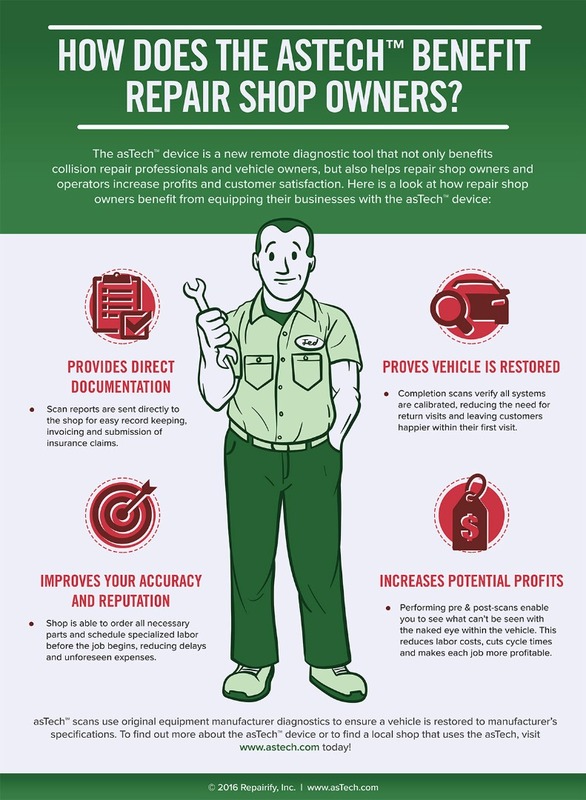 Here is a look at how repair shop owners benefit from equipping their businesses with the asTech™2.